You might not realize how easy it is to incriminate yourself during a DUI stop. While the officer has a reason to believe that you’re driving under the influence, they also have absolutely no clue as to what really caused that behavior. Maybe you were feeling sick, your contact fell out, or you simply made a simple mistake and swerved a bit. When an officer comes to your window— the things you say next are what go on to help your case, or theirs. Therefore, remain silent. We don’t encourage you to lie to the police. In fact, doing so is never going to improve your chances of walking away safely. However, not saying anything can be a strong option. Especially if you have been drinking, and aren’t sure of your BAC— it’s best that you avoid answering questions. By doing so, you might make yourself look worse than you already do. You know that you likely will not pass a breathalyzer, and will receive a DUI. However, by choosing to remain silent, you better your chances of avoiding a harsher penalty. Furthermore, when an officer asks you how much you’ve had to drink— it’s best that you don’t answer. 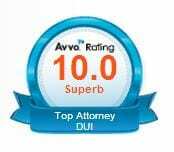 You might not realize, but you don’t have to blow a .08 to receive a DWI. In fact, if you are acting intoxicated, admit to heavy drinking, and don’t blow a .08— you still are at risk of a charge. You drank and drove, which is not ideal— and you will likely still face some penalty. However, by not talking to police, you can better your chances of a heavier sentence. We encourage you to invoke your right to remain silent, not do field sobriety tests, and handle the situation with ease. Remember that you are on camera— and actions speak quite loudly. As warm weather approaches, we begin making plans with our friends to spend time outside. We want to soak up some of some much needed vitamin C and celebrate Spring. Outdoor activities come in all forms, but for many legal age drinkers in Charlotte— brewery and bar patios are calling our names. When it’s Winter time, we often turn to darker beers and warmer flavors. However, as those chilly days turn warm— our palates begin to shift. Warm weather beers are typically lighter, more crisp, and a bit more refreshing. While you know you want to turn towards the light— you might not know of any good beers to turn to. In that case, we’re here to help. When it comes to lighter beers, there are plenty of options. Especially if you want to go local, many breweries focus in on those lighter, hoppy profiles— such as Sycamore. If you look at a beer list and get a bit overwhelmed, look for these few words: pale ale, pilsner, kolsch, and wheat. These are going to be refreshing, mostly light, and the perfect warm weather beers. A few things to keep in mind with each of these: Pale ales and IPA’s are going to be a bit more on the hoppy side, which isn’t for everyone. Some people prefer hops in the warm weather, and some say ‘too bitter and dry’. Furthermore, with wheat beers, many people say that they sit too heavy on their stomach— which is a valid point. Wheat beers are thicker, and do have the tendency to feel heavier. Every person, and palate, is different. Not every dark or light beer is going to taste heavy or light. However, it’s a pretty good place to start. Some porters will taste light, just like some IPA’s or wheat beers will sit on your stomach much like a stout. Every beer is different, especially when you’re drinking local. So, while it isn’t always a great tell— start with the color. Understand that typically the darker the beer— the heavier the beer is going to be. Warm weather beers are almost always going to be lighter in color, and flavor. The beautiful thing about going to a bar or brewery— is that you have the option to try before you buy (when it comes to draft beer only, of course). If you know that the beer you want is on draft, ask for a sample. Most every bartender will happily oblige to a tasting once or twice— just don’t ask to sample the whole tap system… If you think you want a beer, but aren’t quite sure yet, sample it and go from there. You never know, one of those samples might turn out to be your new go-to out of all the warm weather beers. There’s no more important piece to your St. Patrick’s Day bar crawl puzzle than a hearty plate of food in the morning. Consider french toast, hash browns, avocado toast, or a big breakfast sandwich. Many people will decide to go light because they want to feel what they’re drinking. However, when it comes to a day of bar crawling— take it slow. The crawl runs from 12:00 to 10:00 p.m.. Don’t take yourself out of the race too quickly. There will come a time in every crawlers day that the alcohol catches up to them. It’s important that you are not all by your lonesome when that time comes. The St. Patrick’s Day bar crawl puts you in a unique situation to be surrounded by people who are feeling just like you. However, it also presents an easy opportunity for those preying on drunk people. Whether it be to rob you, kidnap you, or something else— being drunk and on your own is always a recipe for disaster. Make it your rule of thumb to stick in groups of at least two, preferably three or more. When you make plans for the St. Patrick’s Day bar crawl festivities, make your evening plans part of it. Whether those plans include finding a place to stay in the city, designating a driver, taking the light Rail, a cab, Uber, Lyft… The key is to make plans, and stick with them until the end. 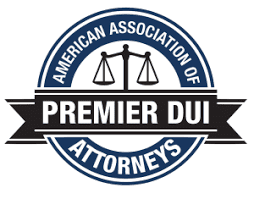 By doing so, you are taking one extra step towards avoiding issue or DUI.